Urdu (/ˈʊərduː/; Urdu: اُردُو‎ ALA-LC: Urdū [ˈʊrduː] (listen)) (also known as Lashkari, locally written لشکری)—or, more precisely, Modern Standard Urdu—is a Persianised standard register of the Hindustani language. It is the official national language and lingua franca of Pakistan. In India, it is one of the 22 official languages recognized in the Constitution of India, having official status in the six states of Jammu and Kashmir, Telangana, Uttar Pradesh, Bihar, Jharkhand and West Bengal, as well as the national capital territory of Delhi. It is a registered regional language of Nepal. Sampooran Singh Kalra (born 18 August 1934), known popularly by his pen name Gulzar, is an Indian poet, lyricist, and film director. Born in Jhelum District in British India (now in Pakistan) his family moved to India after partition. He started his career with music director S.D. Burman as a lyricist in the 1963 film Bandini and worked with many music directors including R. D. Burman, Salil Chowdhury, Vishal Bhardwaj and A. R. Rahman. He was awarded Padma Bhushan in 2004, the third-highest civilian award in India, the Sahitya Akademi Award and the Dadasaheb Phalke Award — the highest award in Indian cinema. He has won several Indian National Film Awards, 21 Filmfare Awards, one Academy Award and one Grammy Award. He also wrote the theme song for Motu Patlu, an Indian animated sitcom. Gulzar also wrote poetry, dialogues and scripts. He directed films such as Aandhi and Mausam during the 1970s and the TV series Mirza Ghalib in the 1980s. He also directed Kirdaar in 1993. Hindustani (Hindi: हिन्दुस्तानी, Urdu: ہندوستانی), also known as Hindi-Urdu and historically also known as Hindavi, Dehlavi and Rekhta, was a historical lingua franca of Northern India and Pakistan. 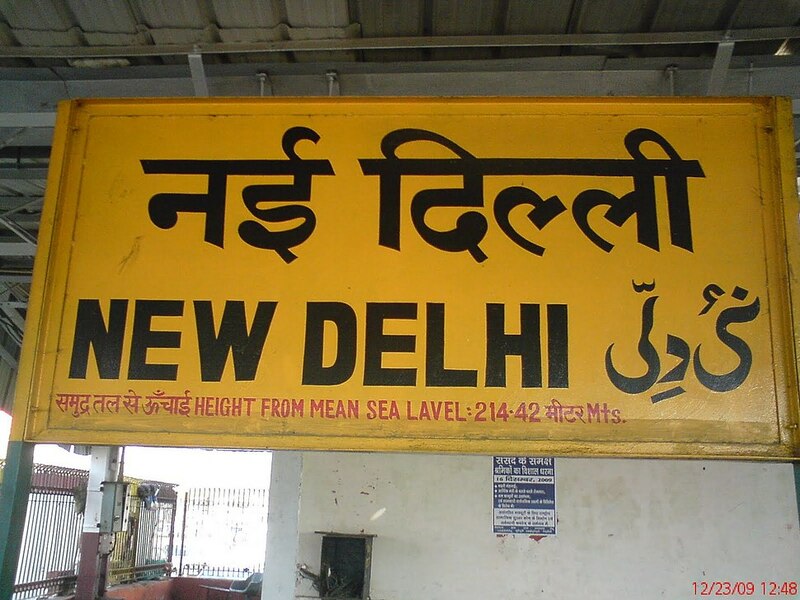 It is an Indo-Aryan language, deriving its base primarily from the Khariboli dialect of Delhi. The language incorporates a large amount of vocabulary from Prakrit, Sanskrit (via Prakrit and Tatsama borrowings), as well as Persian and Arabic (via Persian). It is now a pluricentric language, with two official forms, Modern Standard Hindi and Modern Standard Urdu, which are its standardised registers. According to Ethnologue's 2019 estimates, if Hindi and Urdu are taken together as Hindustani, the language would be the 3rd most spoken language in the world, with approximately 409.8 million native speakers and 785.6 million total speakers.The colloquial registers are mostly indistinguishable and even though the official standards are nearly identical in grammar, they differ in literary conventions and in academic and technical vocabulary, with Urdu adopting stronger Persian and Arabic influences, and Hindi relying more heavily on Sanskrit. Before the partition of India, the terms Hindustani, Hindi and Urdu were synonymous; they all covered what would be mostly called Hindi and Urdu today. The term Hindustani is still used for the colloquial language and the lingua franca of North India and Pakistan, for example for the language of Bollywood films, as well as for several languages of the Hindi-Urdu belt spoken outside the Indian subcontinent, such as Fijian Hindi of Fiji and the Caribbean Hindustani of Trinidad and Tobago, Guyana, Suriname, and the rest of the Caribbean. Hindustani is also spoken by a small number of people in Mauritius and South Africa. Javed Akhtar (born 17 January 1945) is an Indian poet, lyricist and screenwriter. He is a recipient of the Padma Shri (1999), Padma Bhushan (2007), the Sahitya Akademi Award as well as five National Film Awards. This is a list of films produced by Bollywood film industry of Mumbai ordered by year and decade of release. Although "Bollywood" films are generally listed under the Hindi language, most are in Hindi with partial Urdu and Punjabi and occasionally other languages. Hindi films can achieve national distribution across at least 22 of India’s 29 states.Speakers of Hindi, Urdu, and Punjabi understand the mixed language usage of Bollywood thus extending the viewership to people all over the Indian subcontinent (throughout India and its neighboring countries). Here are some examples - partly English: Om Shanti Om, Dhoom 2 and No Entry; partly Urdu: Jodhaa Akbar, Fanaa, Saawariya and Kurbaan; partly Punjabi: Singh Is Kinng, Jab We Met, Patiala House, and Thande Koyle. The film Veer Zaara is an equal mix of Hindi, Punjabi and Urdu. The Muhajir people (also spelled Mahajir and Mohajir) (Urdu: مہاجر‎) are Muslim immigrants, of multi-ethnic origin, and their descendants, who migrated from various regions of India after the independence of Pakistan. Although many of them speak different languages at the native level, they are primarily identified as native Urdu speakers and hence are called Urdu-speaking people. The term Muhajirs generally refers to those Muslim migrants from India who settled in urban Sindh. Sir Muhammad Iqbal (; Urdu: محمد اِقبال‎; 9 November 1877 – 21 April 1938), widely known as Allama Iqbal was an Indian poet, philosopher and politician, as well as an academic, barrister and scholar in British India who is widely regarded as having inspired the Pakistan Movement. He is called the "Spiritual Father of Pakistan." He is considered one of the most important figures in Urdu literature, with literary work in both Urdu and Persian.Iqbal is admired as a prominent poet by Indians, Pakistanis, Iranians and other international scholars of literature. Though Iqbal is best known as an eminent poet, he is also a highly acclaimed "Muslim philosophical thinker of modern times". His first poetry book, The Secrets of the Self, appeared in the Persian language in 1915, and other books of poetry include The Secrets of Selflessness, Message from the East and Persian Psalms. Amongst these, his best known Urdu works are The Call of the Marching Bell, Gabriel's Wing, The Rod of Moses and a part of Gift from Hijaz. Along with his Urdu and Persian poetry, his Urdu and English lectures and letters have been very influential in cultural, social, religious and political disputes.In the 1922 New Years Honours he was made a Knight Bachelor by King George V, While studying law and philosophy in England, Iqbal became a member of the London branch of the All-India Muslim League. Later, during the League's December 1930 session, he delivered his most famous presidential speech known as the Allahabad Address in which he pushed for the creation of a Muslim state in north-west India.In much of South Asia and the Urdu-speaking world, Iqbal is regarded as the Shair-e-Mashriq (Urdu: شاعر مشرق‎, "Poet of the East"). He is also called Mufakkir-e-Pakistan (Urdu: مفکر پاکستان‎, "The Thinker of Pakistan"), Musawar-e-Pakistan (Urdu: مصور پاکستان‎, "Artist of Pakistan") and Hakeem-ul-Ummat (Urdu: حکیم الامت‎, "The Sage of the Ummah"). The Pakistan government officially named him "National Poet of Pakistan". His birthday Yōm-e Welādat-e Muḥammad Iqbāl (Urdu: یوم ولادت محمد اقبال‎), or Iqbal Day, is a public holiday in Pakistan.Iqbal's house is still located in Sialkot and is recognized as Iqbal's Manzil and is open for visitors. His other house where he lived most of his life and died is in Lahore, named as Javed Manzil. The museum is located on Allama Iqbal Road near Lahore Railway Station, Punjab, Pakistan. It was protected under the Punjab Antiquities Act of 1975, and declared a Pakistani national monument in 1977. Pakistan Standard Time (Urdu: پاکستان معیاری وقت‎, abbreviated as PST or sometimes PKT) is UTC+05:00 hours ahead of Coordinated Universal Time. The time zone is in use during standard time in Asia. A Union Council (Urdu: شیروان‬‎, Sherwan) forms the second-tier of local government and fifth administrative division in Pakistan. Its structure and responsibilities differ between provinces and territories. The Urdu alphabet is the right-to-left alphabet used for the Urdu language. It is a modification of the Persian alphabet known as Perso-Arabic, which is itself a derivative of the Arabic alphabet. The Urdu alphabet has up to 40 letters. With 39 basic letters and no distinct letter cases, the Urdu alphabet is typically written in the calligraphic Nastaʿlīq script, whereas Arabic is more commonly in the Naskh style. Usually, bare transliterations of Urdu into Roman letters (called Roman Urdu) omit many phonemic elements that have no equivalent in English or other languages commonly written in the Latin script. The National Language Authority of Pakistan has developed a number of systems with specific notations to signify non-English sounds, but these can only be properly read by someone already familiar with the loan letters. Shayari,Urdu poetry (Urdu: اُردُو شاعرى‎ Urdū S̱ẖāʿirī) is a rich tradition of poetry and has many different forms. Today, it is an important part of the cultures of South Asia. Meer, Dard, Ghalib, Anees, Daag Dehlvi, Dabeer, Iqbal, Zauq, Josh, Akbar, Premchand, Jigar, Faiz, Firaq, Shakeb Jalali, Ahmad Nadeem Qasmi, Shair, Mohsin, Faraz, Faizi and Firaq are among the greatest poets of Urdu. The language of Urdu got its pinnacle under the British Raj, and it received official status. All famous writers of Urdu language including Ghalib and Iqbal were given British scholarships. Following the Partition of India in 1947, it found major poets and scholars were divided along the nationalistic lines. However, Urdu poetry is cherished in both the nations. Both the Muslims and Hindus from across the border continue the tradition. It is fundamentally performative poetry and its recital, sometimes impromptu, is held in Mushairas (poetic expositions). Although its tarannum saaz (singing aspect) has undergone major changes in recent decades, its popularity among the masses remains unaltered. Mushairas are today held in metropolitan areas worldwide because of the cultural influence of South Asian diaspora. Ghazal singing and Qawwali are also important expository forms of Urdu poetry. Bollywood movies have a major part in popularising Urdu poetry with younger generations.